Raise your hand if you dislike public speaking. 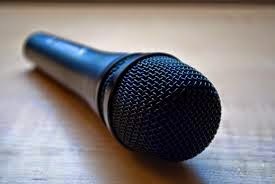 Most people would go even further than dislike when it comes to public speaking. Whether it is out of need for work, for an organization, or for our own benefit, there are steps we can take to improve and make our experience a more pleasant one. One big step in the right direction is practice, practice, practice. Practice can keep us from getting rusty, whether it in front of a friend or in front of a mirror.